A British man had set up a home in Pattaya with his Thai spouse – wife and had two children, the family broke down and the British man moved out of the family home taking his two children with him. The Thai wife happy with the gain of a house did not fight for her children. Unfortunately the British man became low of funds and had to return to the UK. His children did not have either a Thai or British passport and were not able to travel. Taking good advice he applied and received a British passport for each child. Now his children can easily travel to the UK as they are British citizens. The father was concerned that as the children’s passport did not have a Thailand entry stamp, he would be stopped at the immigration at the Thai border. 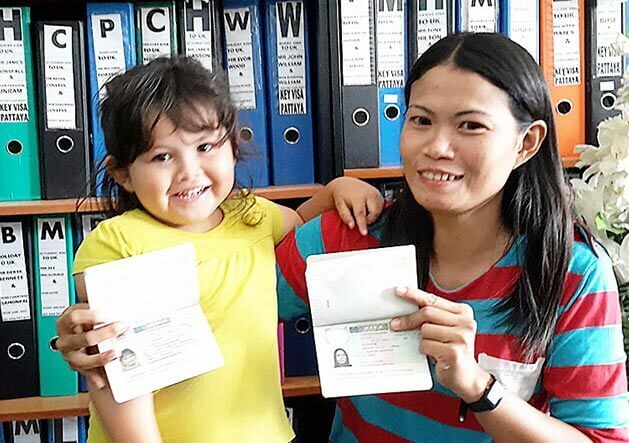 We explained that if the children have a British passport and you have the Birth certificate with you at the time of travelling, then you can explain to the visa officer in Thailand that the children were born in Thailand and are British citizens. The visa officer will simply stamp the passport and allow him to leave the country with the children. In the satiation, you do not need a document or letter from the mother allowing you to take the children out of the country. In this situation it would be best to apply for both a Thai and British passport, which in later life would give the children easier travel to and from Thailand and Europe.